Traditional teaching emphasizes reading music from the very beginning. The first piano lesson, therefore, must wait until a child can comprehend symbols in general. If a child can’t recognize letters and numbers, what chance has he or she of understanding lines, spaces, clefs, time signatures and rhythmic note values?So when does Suzuki recommend starting piano lessons? The short answer is sometime before the age of 6, although it’s never too late. Between 3-5 is considered ideal. There are a number of practical reasons and some developmental reasons for believing that starting as early as possible is best. Even if you’re not a tiger mom, you know that school age children get very busy. Schoolwork comes first, of course, and each after-school activity must be weighed carefully. Piano practicing that’s not already a part of the daily routine may lose out to homework and softball. Pre-school children, on the other hand, seem to have boundless energy and never enough activities. A stay-at-home mom or dad, a grandparent, a nanny or other caregiver is always looking for something to keep their child constructively occupied. For that caregiver — who plays a key role in the early Suzuki training — music lessons can help fill the need for interesting pre-school activities. Infants and very young children are naturally inquisitive and receptive. While they are still developing language, their hearing is particularly sensitive. This is an ideal time for a love of music to take hold and grow. While it is never too late to learn to play a musical instrument, there is a window of opportunity that gradually closes, making the task more difficult later on. Did you insist that your infant spell m-a-m-a before saying, “Ma-ma”? When your child first began to identify objects, did you point to your dog and spell, d-o-g? I doubt it. It wouldn’t occur to you because everyone knows that’s not the way children learn language. Learning the alphabet and learning to read do not precede speaking and comprehension. It just doesn’t make sense. And yet this is what many parents assume will happen in their child’s first piano lessons. And indeed, with the traditional approach that’s exactly what does happen. From the very first piano lesson, traditional teaching introduces reading music. At the same time, it tries to teach the basic techniques of how to play the instrument itself. That’s a tall order for a child of any age, and even harder for a pre-schooler. The difficulty of this approach is one of the reasons, I think, that so many beginners get discouraged, don’t want to practice, and finally drop out. Unless you’re highly motivated or a quick, visual learner, you’re excessively challenged from the start. While your child was learning to speak, expression and comprehension were what was most important. Crying frantically certainly got attention, but babbling “wa-wa” most likely got a drink of water. At such an elemental stage, reading would be pointless. Formal reading lessons generally don’t start until kindergarten or first grade. By that time, most children have acquired a fairly extensive vocabulary and are able to speak using full, reasonably correct sentences. Similarly, the Suzuki Method postpones music reading until the child has attained a degree of fluency at the piano. Suzuki recommends that you start to teach reading only after the student has mastered most of the material in Book I of the Suzuki Method. That’s between 1 and 3 years into the process. Of course, a lot of preparatory work can be done before then. There are many ways to introduce the symbols and conventions of music notation that are analogous to the ways that parents prepare their child for reading. Consider, for example, the 3-dimensional letters of the alphabet parents give their child to play with. Or consider how you read bedtime stories and point to the printed words as your child follows along. In this way, symbols become familiar, even though their meaning won’t be understood until much later. Group lessons provide an ideal venue to lay the groundwork for reading music. There the elements of reading can comprise fun games that children play together. A number of Suzuki teachers have published their creative efforts in that regard, and there is now an extensive body of games available for teachers to select from. 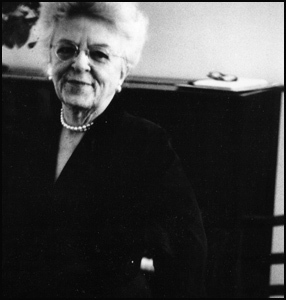 I was a young teenager when I auditioned for Bernice Frost, a respected piano teacher. She seemed eager to accept me as her pupil. Before leaving her studio, my mother asked, “Yes, but does he have talent?” My heart sank. The question seemed completely beside the point. I wanted to learn. Here was a teacher who could help me learn. What else mattered? School had taught me that if I paid attention in class and did my homework, I learned and I got smarter. Why should music be any different? Dr. Suzuki rejected the notion that talent is an inborn aptitude. He believed that all children are born with the potential to develop a variety of abilities, starting with the ability to communicate through language. Like a seed, that potential germinates, grows and blossoms — or it doesn’t. It all depends on the quality of nurturing it receives. Not everyone agrees with this. From Suzuki’s perspective, what we call talent is none other than an ability that has developed to such an extent that it seems extraordinary. Labeling it “talent” or “gifted” distinguishes it as such. For him, the ability to speak a language is a skill equally complex and sophisticated as the ability to play a musical instrument. By his reasoning, any child who can learn to speak can learn to play an instrument with comparable fluency. That is not to say that every Suzuki student who learns to play the piano will go on to become a concert artist. In fairness, the same might be said for all who master their mother tongue: not everyone becomes a professional orator or writer. To be sure, Suzuki recognized that children differ one from the other. But the only relevant differences, he observed, were in the speed with which they absorb information, and which learning style they favor. Some children are quick; some are slow. Some children learn more by listening than by seeing; still others are more tactile. But like the tortoise and the hare, they all have the potential to reach the goal regardless of the time it takes or the route they follow. I’ve had heated arguments with people who insist that talent is inborn. I disagree, but I also think the question is somewhat moot. As far as I’m concerned, a belief in talent buys you absolutely nothing from a pedagogical point of view except a get out of jail free card for your shortcomings as an educator. If something is not working, it’s easy to blame it on a lack of aptitude. Suzuki never gave himself that option. He proved that ability invariably develops if given the right conditions for growth. In fact, he named his school “Talent Education” to emphasize his position on that point. One of the most dramatic and moving examples of the Suzuki training succeeding against all odds is documented in the video “Nurtured by Love.” It concerns a young girl who was born with a deformed hand, but who nevertheless wanted to play the violin. Though the girl could hold a bow in her deformed hand, she could only hold it for a few seconds at a time. The bow would invariably fly out of her hand after only a few bars into the first Twinkle Variation. When that happened, her mother would quietly pick up the bow, and have her start over. Perhaps because failure was not an option, mother and child persisted in this seemingly futile endeavor for months on end. Almost a year passed before their persistence paid off. The girl was finally able to hold the bow throughout the entire variation.